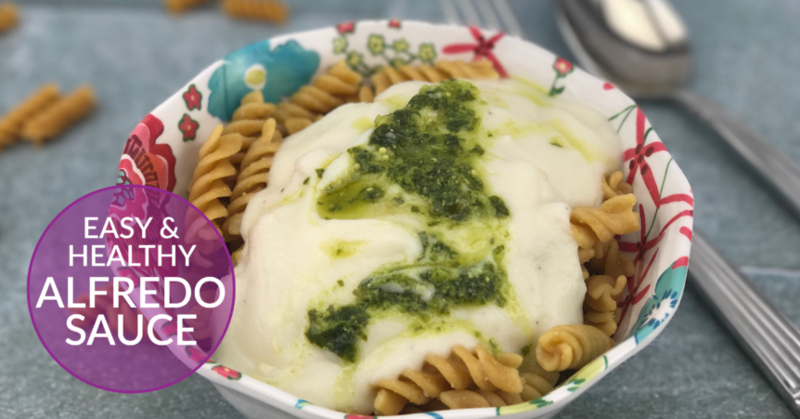 Make this easy & healthy Cauliflower Alfredo Sauce in a flash! Ok , confession time… We must have pinned 15 different versions of cauliflower sauces to our personal Pinterest boards. Each one was either too complicated or just seemed like it would be seriously lacking in flavour. Well we’re happy to report that our version is the Goldilocks sauce…it’s juuuuuuust right. heat oil in a frying pan to medium-low and add the garlic. Take your time you are looking for soft garlic! Burnt garlic is horrible. You want the garlic soft but not browned at all. When in doubt turn it down. add the garlic with oil, yogurt, salt, pepper, cayenne to the blender. scoop out the cauliflower and 1 cup of the cooking stock and add to the blender. 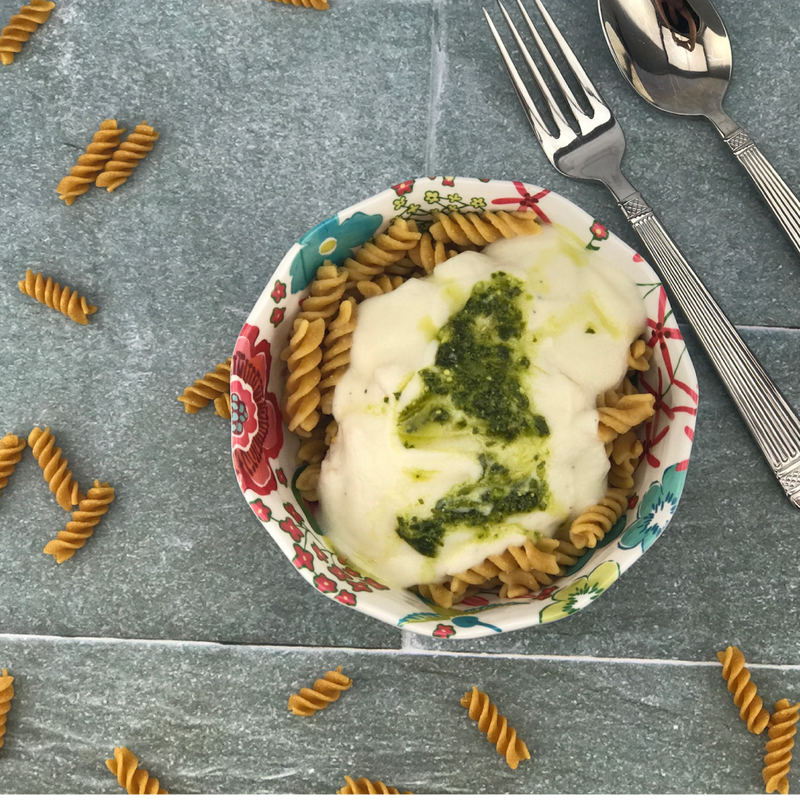 Now you can use on pasta drizzled with pesto, on pizza or serve with veggies and rice, the sky’s the limit. We enjoyed ours with grain free pasta.